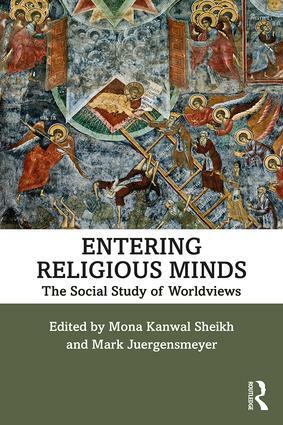 "This important volume makes a significant conceptual and methodological contribution to the study of religion by exploring in-depth cases of religious communities' worldviews. The chapters provide fascinating inside perspectives on communities across an impressive range of geographic sites and religious traditions. It should be of great interest to a broad, multidisciplinary audience at all levels." "We cannot fully understand religious violence without taking the inside perspective into account – the worldview as perceived by the believer within its particular social context. This unique and important book provides a useful interdisciplinary guide for scholars of religion, political science and sociology on how to emphatically understand and critically analyze the religious experience. By putting the religious imageries, ideas, justifications, and practices as the focal points of the analysis, the book provides novel ways to bridge the inside and outside approach to the study of religion in general, and religious violence, in particular." Isak Svensson, Uppsala University, author of Ending Holy Wars: Religion and Conflict Resolution in Civil Wars (2012) and co-editor of International Relations and Religion (2016).